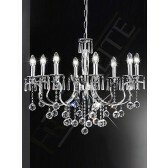 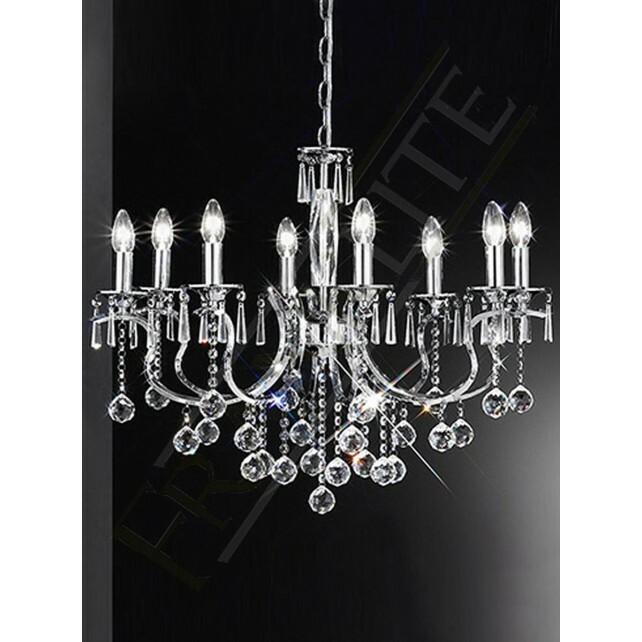 A part of the Taffeta collection by Franklite shows this striking 8 light ceiling light. 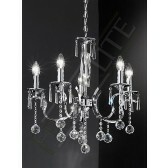 Finished in polished chrome, with a stunning central crystal glass column. 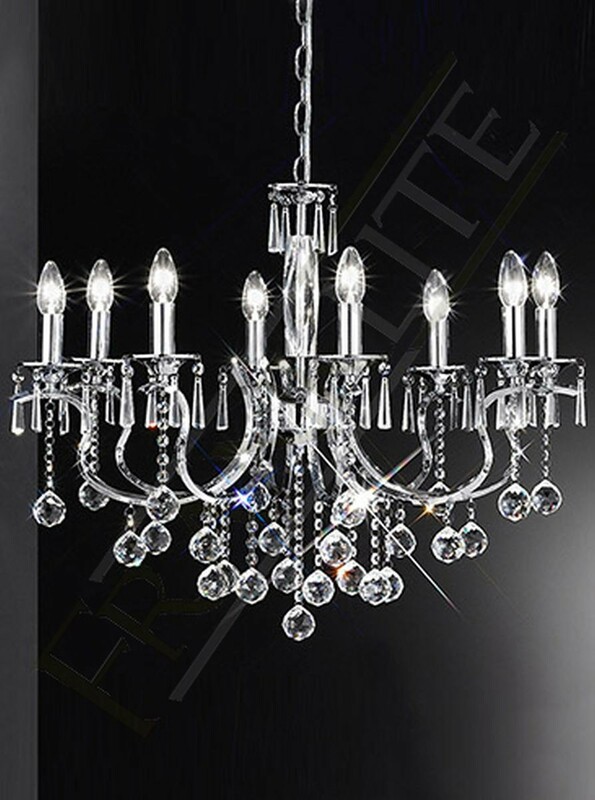 Featuring 8 curved arms, entirely dressed with crystal glass drops. 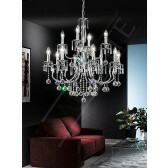 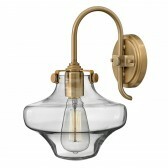 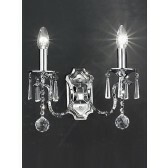 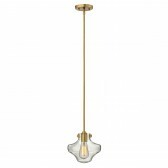 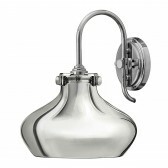 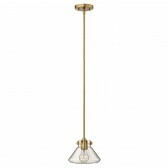 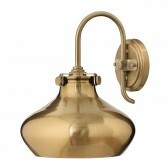 This beautiful light fitting will certainly attract attention and complement the interior anywhere around the home. 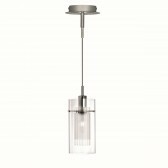 A great lighting accessory, both decorative and practical other fittings including the matching wall lights are available from this range. 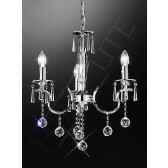 Please see related items for more details.